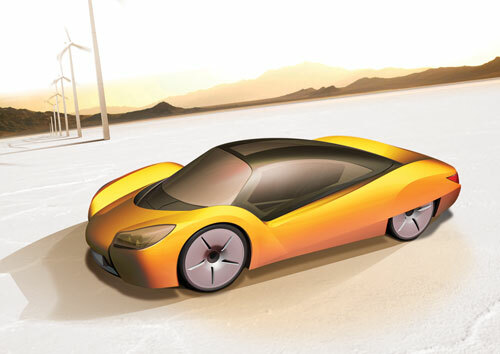 With the “iChange” the Swiss designers of Rinspeed present a “1-2-3-seater” powered by a 130kw-electric motor. 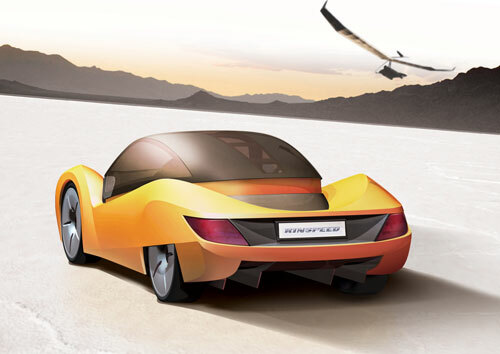 The concept car’s striking body structure adapts via “electronic trick-tail” to the number of passengers: while the sporty and streamlined teardrop shape seats only the driver, two more passengers may join him once the car’s rear end has risen as if by magic. In the blink of an eye the full-blooded sports car turns into a compact sportsvan. With the Rinspeed “iChange” the automotive jack-of-all-trades Frank M. Rinderknecht and his partners aim to provide thought-provoking impulses for the automobile industry: “Thinking about variability and the constantly changing energy demand, we have created an extremely flexible vehicle.” The result is a zero-emission car featuring both extremely low weight and aerodynamic drag, thus further reducing the power consumption.